Get $20 off all VIP and Premium seating. Enter promo code MMC20 when choosing your seats! 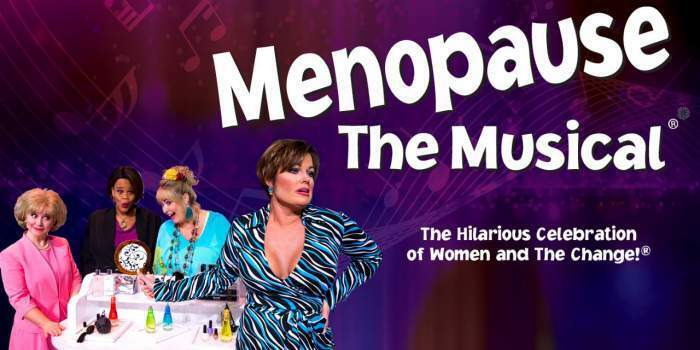 Menopause The Musical has delighted Las Vegas audiences for nine years. With 3,625 performances under its belt, the show from award-winning GFour Productions debuts in the heart of the city inside Harrah’s Cabaret at Harrah’s Las Vegas. New expanded stage, costumes and upgraded sound and lighting highlight the new production’s intimate setting. This joyful musical parody set to classic tunes from the ‘60s, ‘70s and ‘80s will have you cheering and dancing in the aisles! A sisterhood is formed as the audience relates to the characters on the stage while they share a common bond. For the best ticket prices for Menopause The Musical, you can follow the link above this description and save $20 off Menopause The Musical tickets starting at only $41! Tuesday - Sunday: 6:30 p.m. with an additional 2 p.m. matinee on Saturday. Harrah’s hotel & Casino, in the Harrah’s Cabaret.